The Extreme Q 4.0 Vaporizer from Arizer is one of the most cost-effective multiple function vaporizers on the market today. 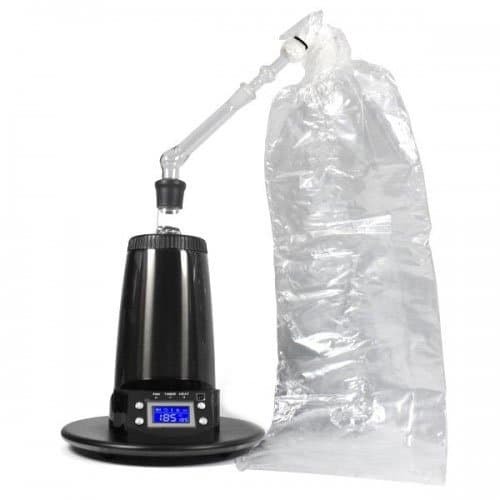 Most vaporizers would make you chose one or the other – whip attachment or balloon bag. With the Arizer Extreme Q, you don’t have to. Read our review about the Extreme Q Vaporizer. The Extreme Q features precision temperature control powered by a digital remote control. This system has three different settings of fan speeds that will give you delicious small, medium or large tokes. It also has an automatic shut off. Because of all this versatile functionality, the Extreme Q can also be used as an oil diffuser or an aromatherapy device. The housing unit is made from durable stainless steel that is insulated by a dual wall, providing you with delicious vapor quality session after session. The Extreme Q comes equipped with a bowl that is unlike any other. 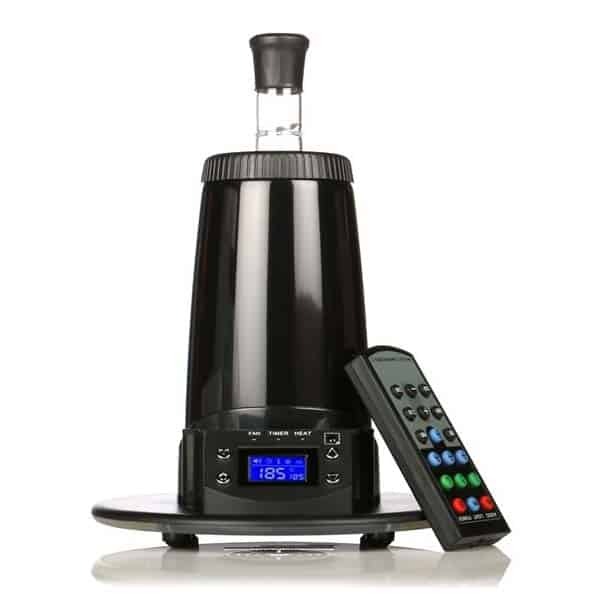 Known as the Cyclone Bowl, warm air is piped through at peak efficiency, vaping your herbs or oils evenly. Heat up time is about two minutes with the Extreme Q. 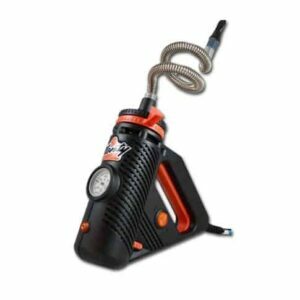 This process really brings out the robust flavors of your vapor and gives you the most potent tokes possible. 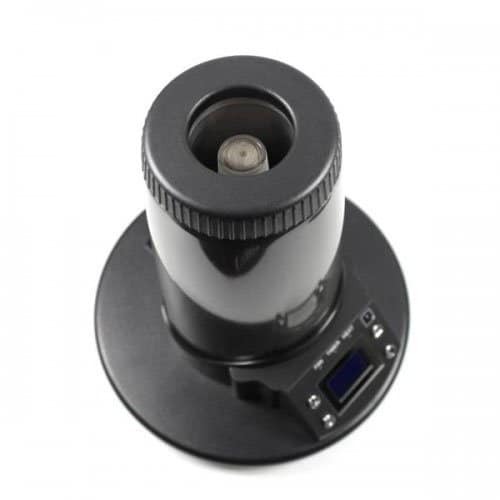 The LCD display is bright and easy to read, displaying the present temperature of the vape along with that of its presets. The heating element is made from ceramic, which greatly reduces irritants. Ask any vaporizer enthusiast can no doubt tell you; Arizer produces nothing but quality products. Part of their industry leading trusted quality comes along with the fact that Arizer offers lifetime manufacturer warranties on the heating elements of all of their vapes. Of course, this includes the Extreme Q. The Extreme Q outshines its predecessors with its sleek design and midnight chrome color. The new Extreme Q is far less noisy than its previous models. 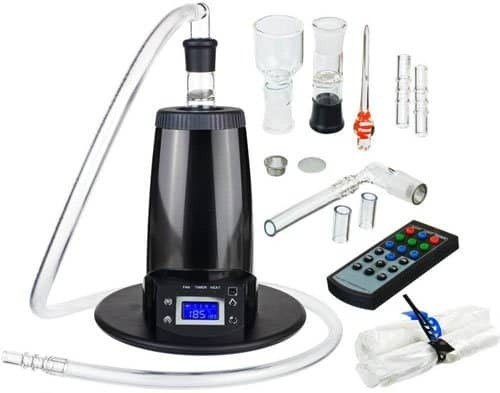 Many vape enthusiasts tell us that they can’t even hear their Extreme Q’s heating element working, especially during conversation or while playing music, watching a movie, etc. This is because the new Extreme Q’s fan works fifty percent more efficiently than the older ones – cutting down on both noise and electric bills. The Arizer Extreme Q 4.0 is perhaps the best choice for a dual-option desktop vaporizer on the market today. Size: 12" x 8" x 12".